If you want to connect your Xbox One console to Xbox Live and you don’t have a router, you can connect your console to your Windows PC or laptop and use its Internet connection. 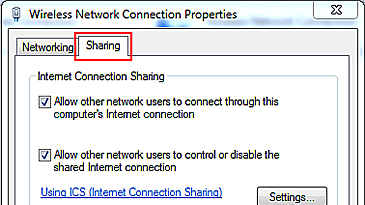 Internet Connection Sharing, and using a network bridge connection. You can use Windows Internet Connection Sharing to share your Internet connection between your computer and your Xbox One console. If you do this, both the console and the computer can access the Internet at the same time. Note Most laptop computers have two network adapters, one for a wired connection and one for a wireless connection. 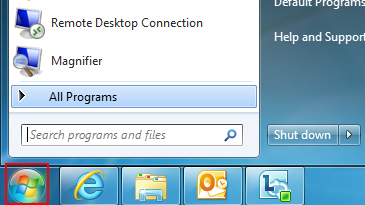 Note The Windows 7 Starter edition does not support this feature. Note The following steps show Windows 7 and Windows 8 screen images. However, the steps are the same for earlier versions of Windows unless otherwise indicated. In the Search programs and files box, type ncpa.cpl, and then press Enter. For Windows XP: Click the Start button, click Run, type ncpa.cpl in the Open box, and then click OK.
Right-click the network connection that you want to share, and then click Properties. The appropriate network connection to share is the one between your computer and your modem, not the one between your computer and your Xbox One console. Click the Sharing tab. If you are using Windows XP, select the Advanced tab. Select Allow other network users to connect through this computer's Internet connection, and then click OK. Wait for the network connection status to change to Shared. Start your web browser and try to connect to the Internet. If you can’t connect, make sure that you’re sharing the primary Internet connection in Step 3. Plug one end of the Ethernet cable into the network port on your computer. Plug the other end into the back of your console. Note If you’re connecting to a wireless network, or if you have PPPoE settings entered, make a note of the settings because you might have to enter them later. Select IP settings, and then select Automatic. Select DNS settings, and then select Automatic. Select Alternate MAC address, and then select Clear. Your computer doesn’t have two network adapters. 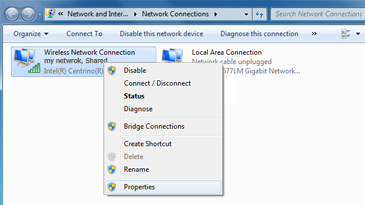 To resolve this problem, install a second network adapter in your computer or check to see if your existing network adapters are functioning correctly. You might be trying to share the wrong network connection. To resolve this problem, repeat Step 3 above, and select a different network connection. If you receive either of the following error messages, try the steps below. Select Manual. You’ll be prompted for the IP address. Enter 192.168.0.2, and then select Enter. You‘ll then be prompted for the Subnet mask. Enter 255.255.255.0, and then select Enter. Next, you’ll be prompted for the Gateway. Enter 192.168.0.1, and then select Enter. Select Manual. You’ll be prompted for the Primary DNS and then the Secondary DNS server. Enter 192.168.0.1 for both servers. If you have a laptop computer with both wired and wireless network adapters, you can use your laptop to connect your Xbox One console to Xbox Live. This type of connection is called a network bridge connection. This connection is quick and easy, but you can’t access the Internet on the laptop when it’s connected to your console. 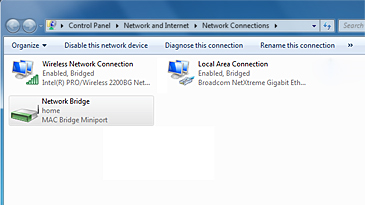 Select the two network connections that you want to bridge. To do this, click the first network connection, press and hold CTRL, and then click the second network connection. 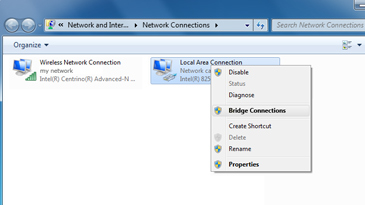 Right-click either of the selected network connections, and then click Bridge Connections. Wait for the new connection icon to be displayed. 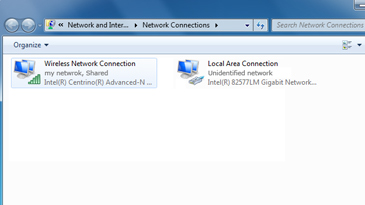 Note The new icon will be labeled Network Bridge. When the icon appears, the new connection is ready to use. Plug one end of the Ethernet cable into the network port on your portable computer. Plug the other end into the back of your console. This resets the network settings to their default setting. This does not affect any other console settings. Would you like to contact Support regarding the "Connect your Xbox One to Xbox Live with a Windows PC instead of a router" issue you were reading about or a different issue?